These projects are run by local community groups for the benefit of their community. Bees Abroad has no responsibility for the visit and arrangements are made entirely at the visitor’s own risk. 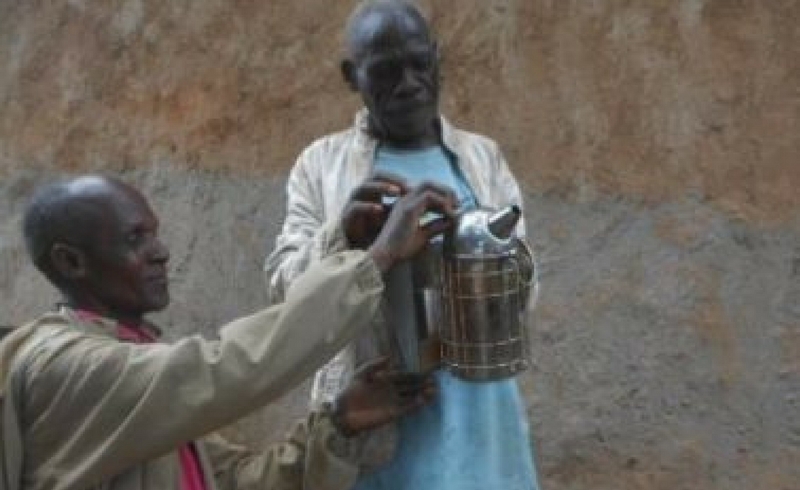 Meet the Batwa who will explain their beekeeping, their cultural heritage and their history of honey hunting in the forest. Visit the CIBIC resource centre where honey is processed and learn more about the project. Meals are available too. Have the opportunity to buy honey and other locally produced products. 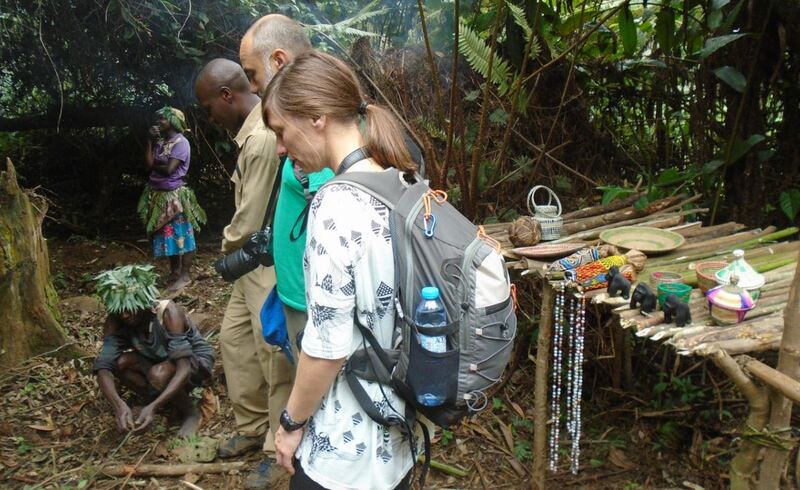 Learn about the natural history of the Batwa and their cultural values. Note: These projects are run by local communities for the benefit of their community. Bees Abroad has no responsibility for the visit and arrangements are made entirely at the visitor’s own risk. Meet representatives of the group, share a meal and learn how they use income from the project to educate their daughters, preventing them being forced into early marriages. Learn all about local beekeeping practices and visit some of the hives out in the bush. See the honey processing building and shop that the women have built themselves. Taste and buy local honey, body creams, soap, polish and candles made by the group. Try making these products under the supervision of the women themselves. If time allows you may also be able to visit a local market where the products are sold. As the village is close to the Maasai Mara game reserve it is possible to combine a visit to Kishermoruak village with a game drive in the reserve. This would entail an overnight stop at a local tented hotel. The reserve has all the iconic Kenyan safari wildlife and if the visit is in July/August then you would be able to experience the Wildebeest Migration – one of the wonders of the natural world. Be driven by an English-speaking driver. Learn about beekeeping in the area. Visit the honey collection and honey processing centres. 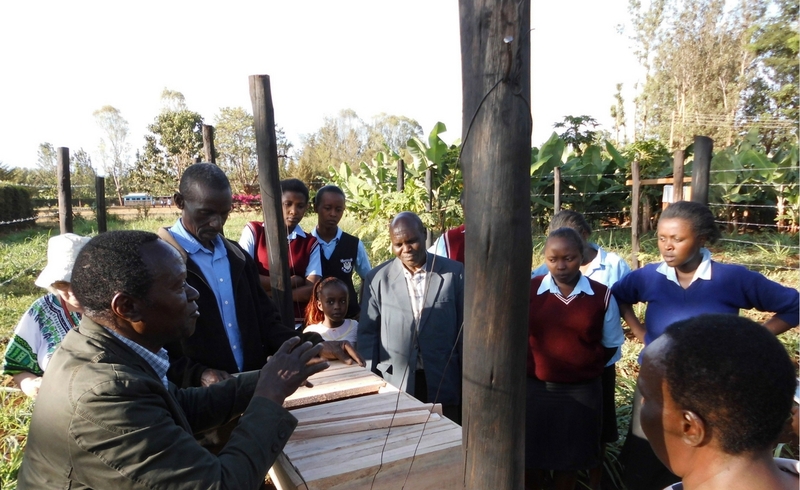 Discover how beekeeping helps pay for education and medicines. Visit primary school children involved in beekeeping. Taste local organic honey and have the opportunity to buy beeswax candles and honey. Have a personal tour of an apiary and open a beehive. Protective clothing is supplied. Note: These projects are run by the local community for the benefit of their community. Bees Abroad has no responsibility for the visit and arrangements are made entirely at the visitor’s own risk.